See below on how to become eligible for monthly incentive drawings. See our Membership Rate Section for membership plans and rates. 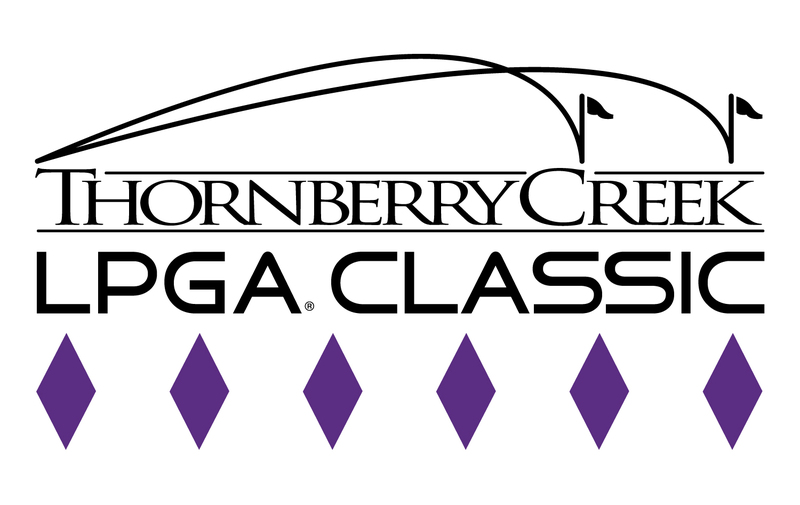 Feel free to call our Membership Desk with questions (920) 490-3730. This is a FREE incentive and does not require any signing up to participant. 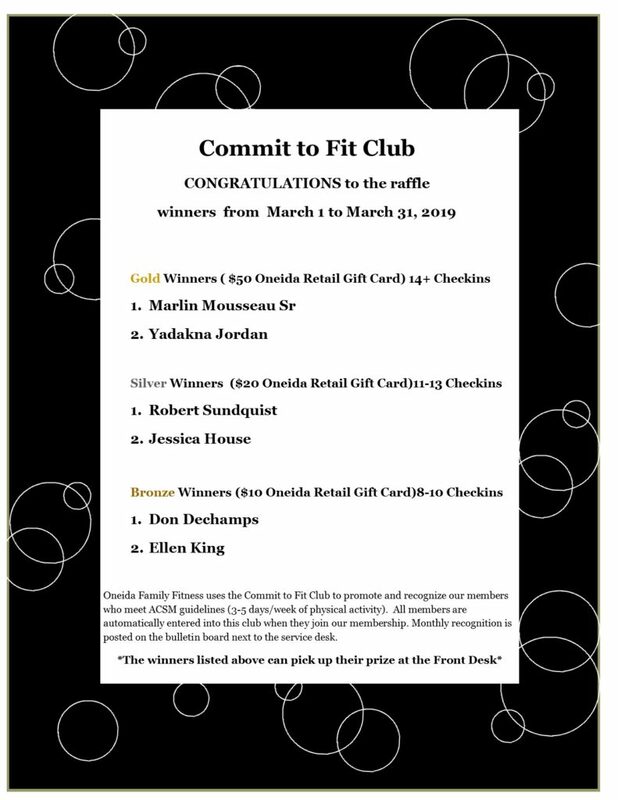 Please check out the Commit to Fit Club bulletin board by the Service Desk at Oneida Family Fitness. Oneida Family Fitness offers a variety of memberships (individual and family) for Oneida Enrolled and Employees, Other Tribal Affiliation, as well as General Public. * FREE Annual Memberships available; must show/provide Oneida Enrollment ID or descendancy papers at OFF to receive the free membership. * FREE Annual Memberships are available to all employee health plan participants; Discounted membership plans for employees and their family that are not on the health plan. *must show/provide a copy of employee badge and UMR insurance card to receive free or discounted membership. Membership plans are available for other tribal affiliation. *must show/provide a copy of enrollment ID to receive discounted membership rate. 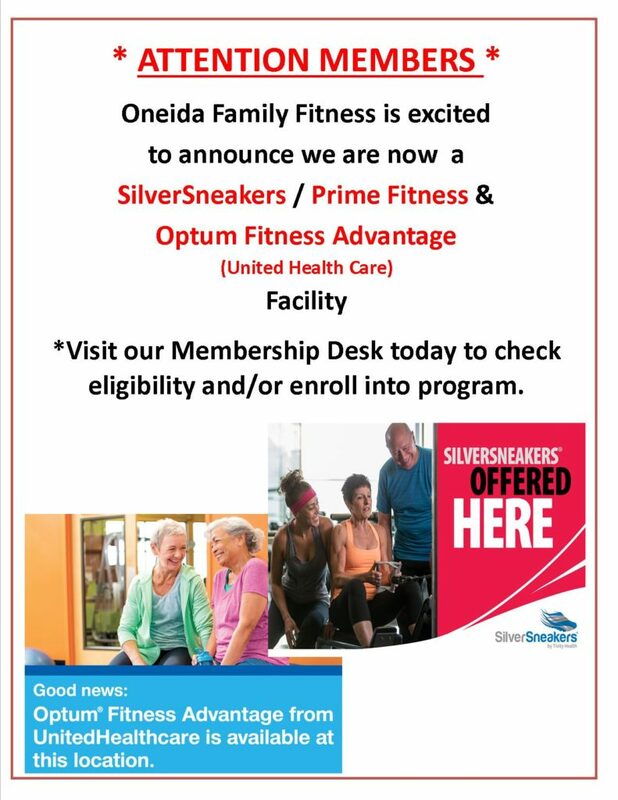 Oneida Family Fitness offers monthly and annual membership plans for the general public. Contact our membership team to find out what’s the best plan for you! The time to complete our Quarter 2 Customer Satisfaction Survey has closed. Stay tuned! Results will be posted soon! Oneida Family Fitness members and guests are expected to abide by all O.F.F. Facility Use Guidelines, Rules & Regulations, as well as all Code of Conducts posted in respective areas to ensure a safe and enjoyable environment for all participants. Violations will be subject to disciplinary action, which may result in revocation of club privileges. * By signing your Membership Agreement, Member(s) acknowledge and agree to be bound by the terms and conditions within our Member Guide, Guidelines & Code of Conducts. Contact your health care provider to check if you are eligible for the program OR bring in your insurance card during your next visit at O.F.F. to verify eligibility with Front Desk Staff.